Got a delicious giveaway for you today!! FantasiCakes not only sent me a cake to try FAST, but it was also sent MOIST!! For me it's hard to go wrong with chocolate, but this cake really is fantastic! It will also keep at room temperature for 14 days. OR it can stay in the freezer for up to 3 months. 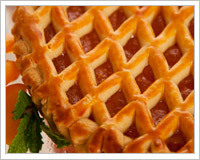 This is a truly tasty site for handcrafted pastries and bakery shop goods! The icing comes on the side so you can warm it up and drizzle it on at your leisure. FantasiCakes has many options to choose from. Any of these would make a very nice gift for someone! 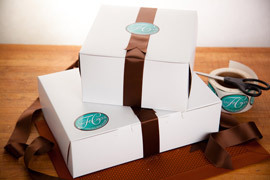 They offer gift cake boxes with a bow for an additional fee. After trying the Triple Chocolate Bundt cake I'm very motivated to try the others! My whole family can't get enough of it :):) Cakes and tarts sell for $14.99 and up. 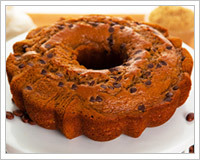 Right now you can get an Orange Bundt Cake for $18.95! FantasiCakes is offering Tight Wad in Utah readers a 25% off discount when you use code giveaway2012 at checkout! You can keep up to date on future coupon codes and giveaways at FantasiCakes on Facebook and Twitter. You can also subscribe to their email newsletter here. a Rafflecopter giveaway Giveaway will end August 10th at 11:59pm. Sponsored by FantasiCakes. I received a cake for review. No other compensation was received. All opinions are my own. This promotion is in no way sponsored, endorsed or administered by, or associated with, Facebook. We hereby release Facebook of any liability. Winner(s) will be contacted by email and will have 48 hours after the giveaway ends to respond before another winner is picked. The chocalate or red velvet!! The chocolate chip coffee cake looks pretty good! I would love to try the Red Velvet or the Lemon Bundt cake. Thanks. I'd like to try the Lemon Bundt cake or thr Chocolate Bundt cake. Oh my! These all look delicious! 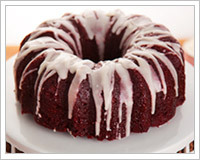 I would love to try the Red Velvet Bundt Cake. Thanks! Would love to try the orange Bundt cake! Yummm Just what I need! Wholly yum! These cakes all look amazing! I want to try the Lemon Bundt cake. I would like Blueberry Bundt Cake. The Cinnamon Walnut Coffee Cake and the Triple Chocolate Bundt cake look yum yum yum! I would love to try their Triple Chocolate Bundt Cake. The Red Velvet Cake sounds YUMMY! The Lemon Bundt and Blueberry Bundt both look really good. YUMM I want to try the Red Velvet Bundt Cake! I would LOVE to try out the Triple Chocolate Bundt Cake! I SOOOOO want the lemon bundt cake! I've got to pick the Triple Chocolate Bundt Cake. It even has chocolate chips in it too!! Lemon Bundt Cake for me, please!!! I want to try the orange bundt cake! OMG the Triple Chocolate Bundt Cakes looks so delightful! I would love to try the Triple Chocolate Bundt Cake. 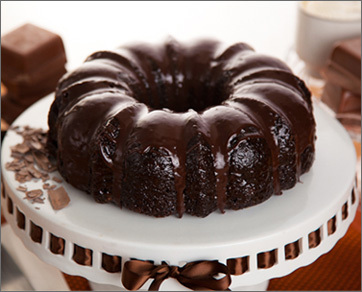 Triple Chocolate Bundt Cake sounds yummy! Want the rum bundt cake! I would love to try out the Apple Cinnamon Coffee Cake! I would LOVE to try the Chocolate Rum Bundt Cake that looks YUMMY! I'd love to try the triple chocolate bundt cake! Definitely the Red VelvetBundt Cake for me! The Red Velvet Bundt Cake sounds delicious. I'd love to try the triple chocolate bundt cake. I would love to try the Lemon Bundt Cake. The Red Velvet Bundt Cake is making my toes curl! 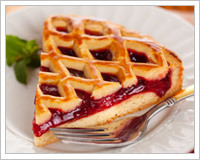 I would love to try the raspberry tart. I would definitely have to get the Triple Chocolate Bundt Cake, mmmmmm!! I would like to try the Chocolate Rum Bundt Cake. Large Cinnamon Walnut Coffee Cake! The Orange Bundt Cake sounds delicious! I would have to try the red velvet, my favorite! Cinnamon Walnut Coffee Cake for me! I would try the Triple Chocolate Bundt Cake. The Pecan Coffee Cake looks yummy, of course a lot of them do. Thanks for the opportunity. I want to try the triple chocolate bundt cake. Too tough to choose just 1! The apple tart, blueberry bunt, lemon bunt, and the red velvet bunt all look soon good! Triple Chocolate BUndt cake is speaking to me. I'd like to try the Red Velvet Bundt Cake Large / 3 Lb. Did you mean: which cake I would liked to try first? LOL - you know, I'd liked to try all of them! I think we'd love the Cinnamon Walnut Coffee Cake--thanks for the giveaway! I'd love to try the Orange Bundt cake! yum! I would love to try the red velvet! !